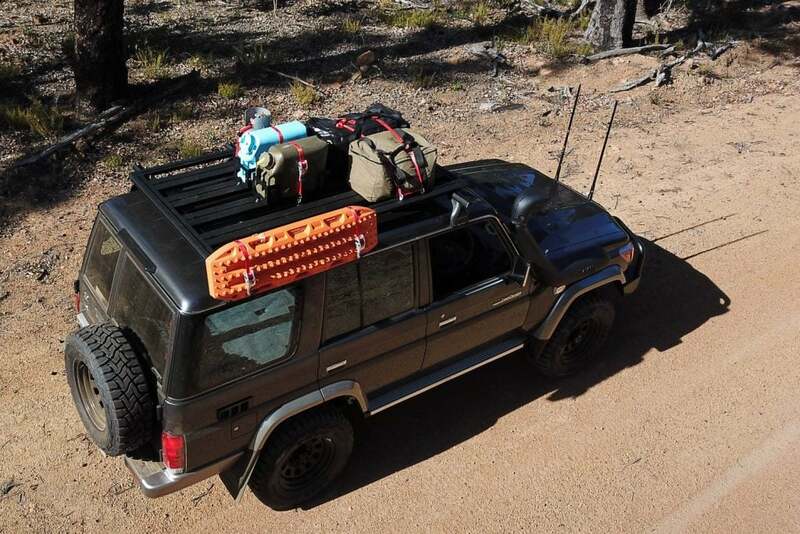 There’s more choice of roof racks today than ever before. However, if you’re looking for a rack that’s light, has a high load rating, and a full range of accessories, the field quickly narrows. The ROLA Titan Tray is one of the few that fits the bill. 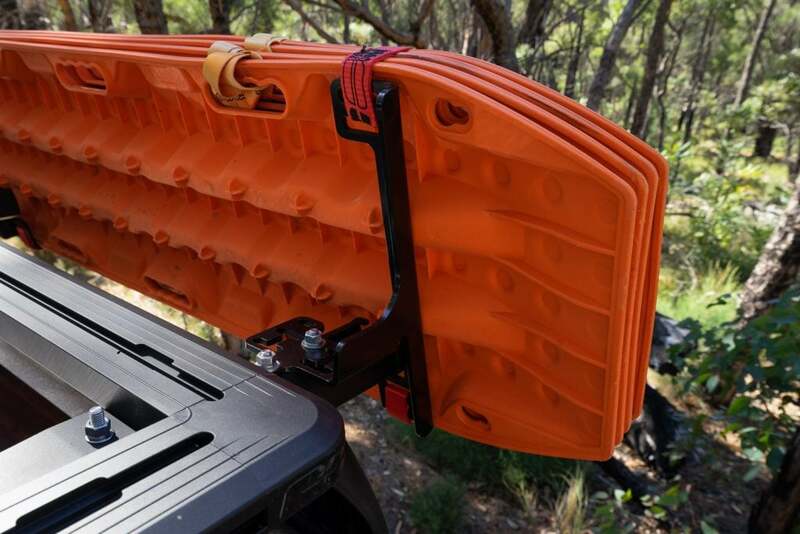 The Titan Tray sits on top of cross bars, and connects quickly with a T nut and bolt. 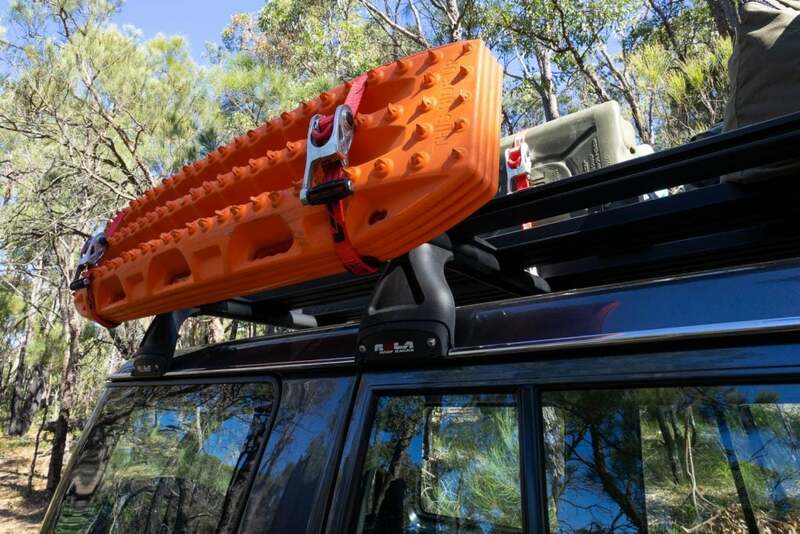 Here we’ve fitted it to the ROLA Heavy Duty roof racks, but the Titan Tray is compatible with most brands and styles of cross bars. For those that don’t like to use a platform rack full time, it’s a quick job to remove the Titan Tray. 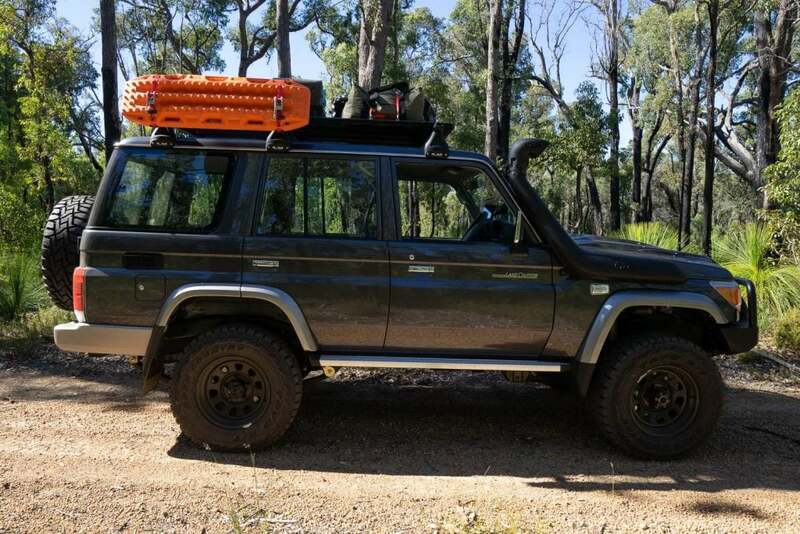 It’s light enough for one person to easily carry, and the cross bars are handily still left in place. 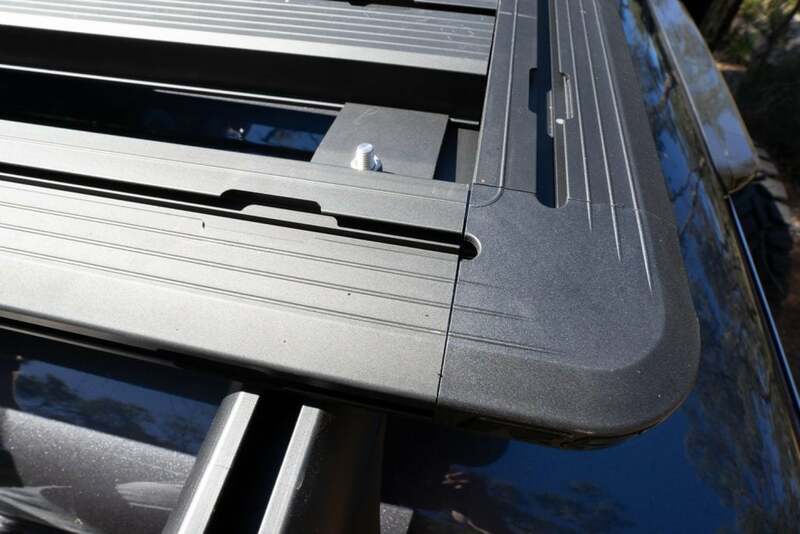 The Titan Tray itself is rated to 300kg – far more than is wise to carry up top. Many vehicles will be limited to a lower weight by the roof rating, or the load rating of the vehicle’s crossbars. 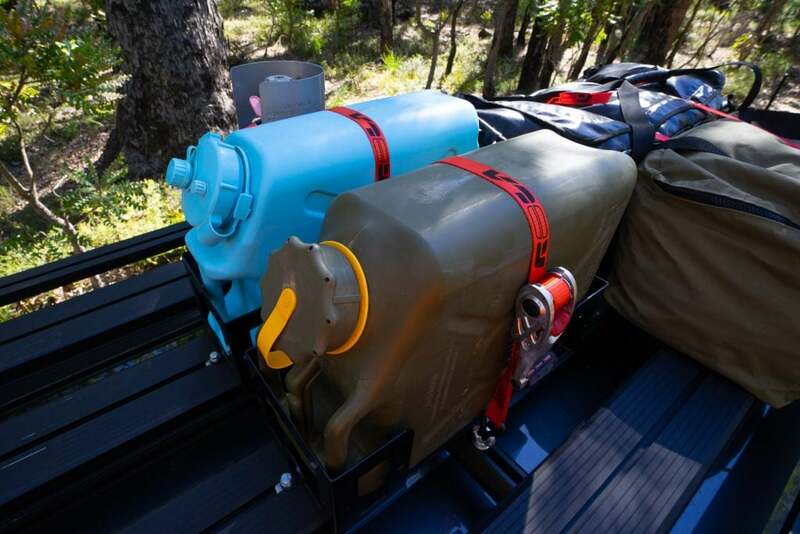 The jerry can brackets simply bolt in place, and then the supplied ratchet strap and pad eyes allow the jerry cans to be quickly cinched in place – they won’t go anywhere! 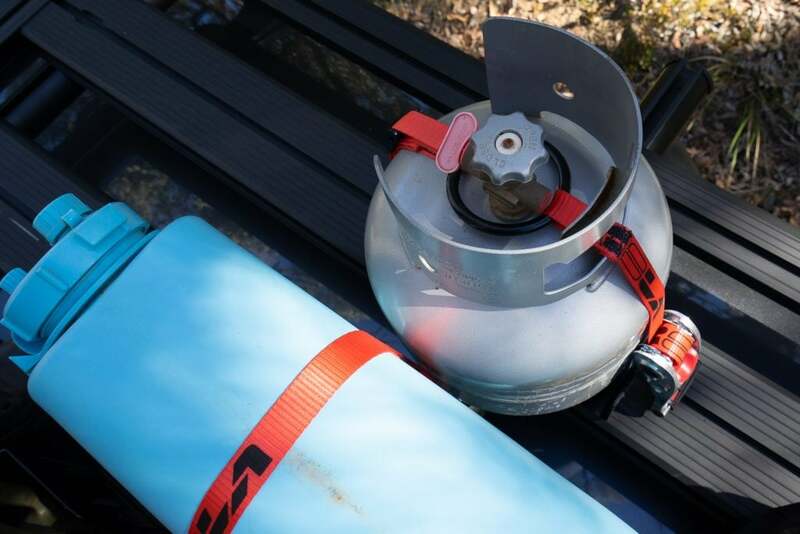 The gas cylinder holder is a simple design, and it was similarly effortless to ratchet our 4kg gas cylinder in place. 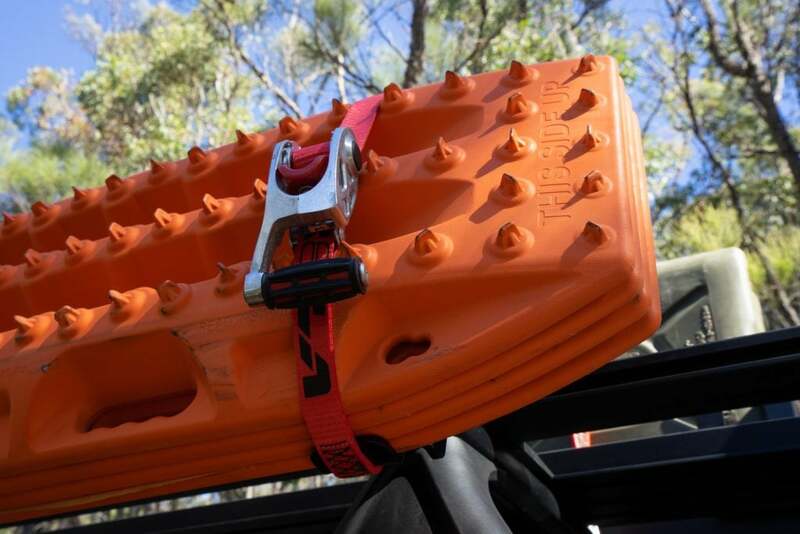 The Recovery Track Holders can be mounted on the bars, or the tray, and again the supplied ratchet straps quickly held our MAXTRAX in place. All of the brackets are powder coated stainless steel, and are supplied with quality mounting hardware and effective ratchet straps. 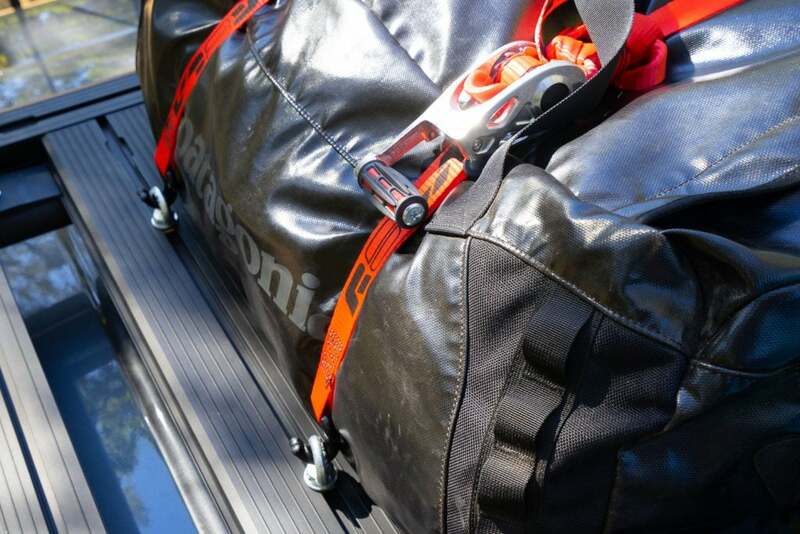 ROLA make a pair of general purpose ratchet straps that are 3.6m long, rated to 450kg, and made light work of a couple of duffles. 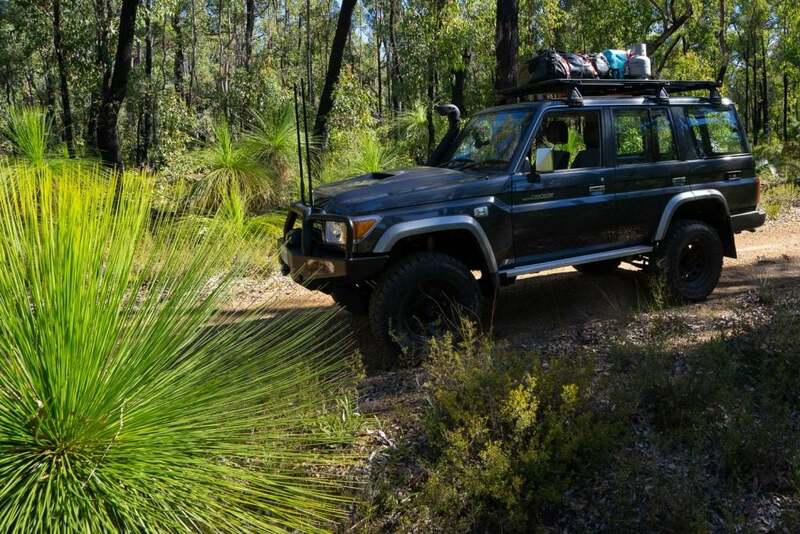 They would be great to secure swags, firewood – anything! 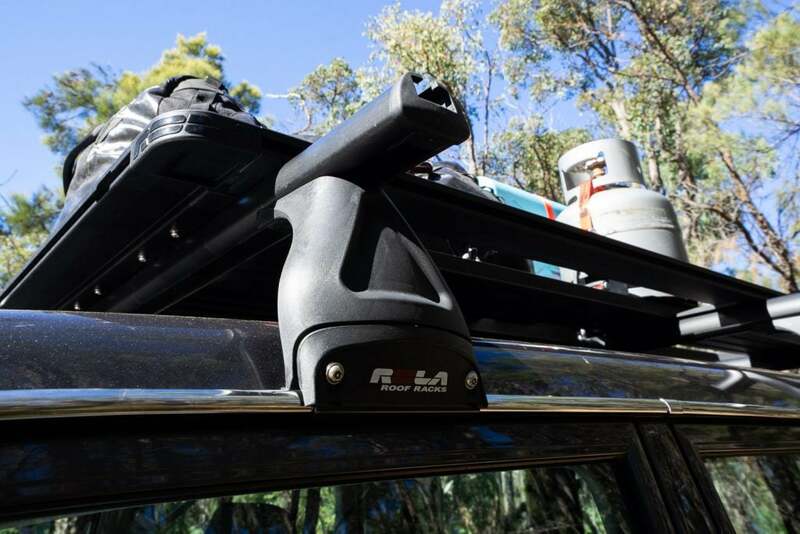 ROLA also make a spare wheel holder that’s ratchet based in design, as well as brackets for awnings, light bars, shovels and more. 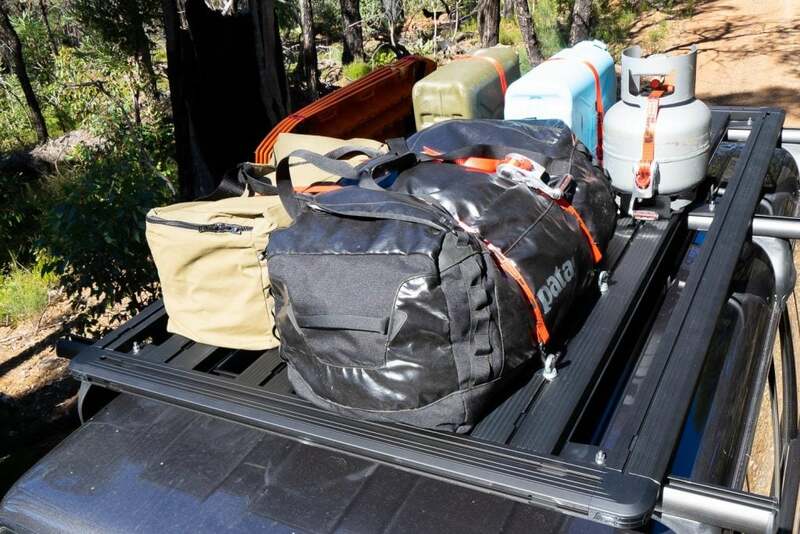 The Titan Tray system is an easy way to quickly and securely mount all the gear you could need for your next big trip.